Purple Artistic Stone has beautiful, intricate patterns of minute flecks, bands, and veins within the mustard yellow, red, purple and moss green stone. 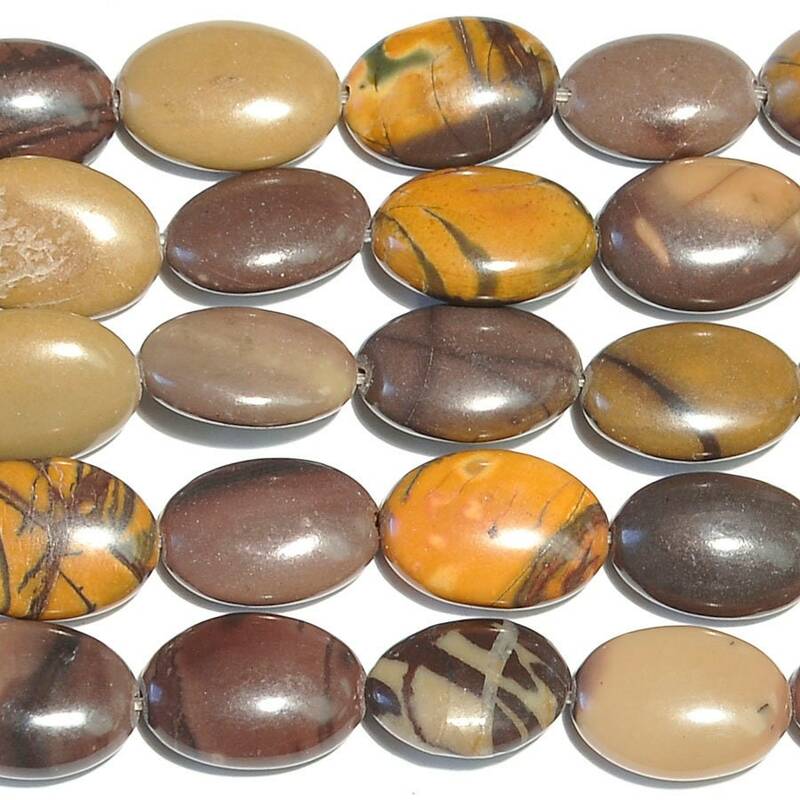 The coloring and patterns are similar to Red Creek Jasper. It is made up of Calcite or Calcium Carbonate, commonly known as Limestone, and as such is a particularly soft stone. Approx. Bead per Strand: 14.